The release of Cloud Sync ushers in a new era of data ubiquity for the Banktivity family of products. It is now possible to keep any number of Macs and mobile devices in sync without them having to talk to one other – they only have to communicate with the cloud! This allows workflows that were never possible before, such as Mac to Mac syncing, iPhone to iPad syncing without a Mac, or any other combination thereof. Banktivity Cloud Sync has been developed as a replacement for WiFi and WebDAV syncing. We encourage you to switch to the new Cloud Sync as soon as possible! To use Banktivity Cloud Sync, a free Banktivity ID is required. Once you sign in with your ID, you may upload one or more documents to the cloud server where they can be accessed from any Mac or mobile device running Banktivity. You will give each cloud document a unique name so that you can choose which of your devices will sync with which documents. The cloud server is the documents’ home, so any changes you make to documents in the cloud will sync to all of your Banktivity devices. At this time, transaction attachments and category images cannot be synced between devices. Banktivity Cloud Sync requires you to have a free Banktivity ID. To log in or sign up, make sure you are connected to the internet and choose File > Manage Banktivity ID. If you already have an Banktivity ID, simply enter your username and password, then click “Sign In” to continue. If you forgot your username or password, click the “Lost Password” button and enter your email address. IGG Software will send you an email containing your username and a link that you can use to reset your password. Once you have done that successfully, you can use the new password to log in. If you have not yet signed up for an Banktivity ID, click “Create Banktivity ID,” fill out the form on the next page, and click “Create Banktivity ID” again to submit your registration details. Assuming you have chosen an ID that has not been used before and the rest of the form has been filled out properly, your ID will be created and Banktivity will log you in automatically. Later on, check your email for a message from IGG Software that will allow you to verify your email address. If you do not complete verification within 14 days, your Banktivity ID will be locked and Banktivity will display a prompt to resend the verification email. 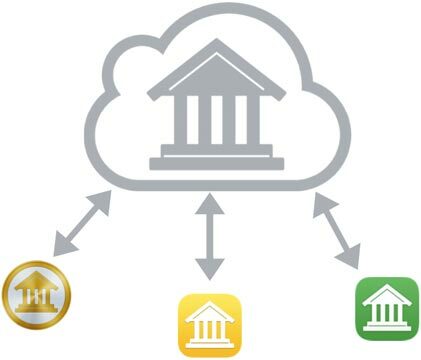 Banktivity ID’s are free to set up and are required to use Direct Access, Cloud Sync, and Banktivity Investor sync. If you do not use these features, you do not need to create an Banktivity ID. IGG Software does not sell or give away your personal information for any reason. For more information, see Security & Privacy. Once you are logged in, you can review your account details and make changes as needed (for example, to update your email address or change your password). The Banktivity document will remain logged in until you return to the Banktivity ID management screen and click the “Logout” button. The username and password for your Banktivity ID are stored in the Mac OS X Keychain. Click “Done” to return to Banktivity’s main window. To get started with Banktivity Cloud Sync, first send your Banktivity for Mac documents to the cloud. These contain some data that is not available on Banktivity for iPad or iPhone (such as reports and account groups), so by sending your Mac documents to the Cloud Sync server first, you will ensure the extra data is not lost. If you are switching from legacy sync to Cloud Sync, be sure to sync your devices beforehand! Once you enable Cloud Sync, your previous sync connections will be terminated and you won’t be able to sync with your devices until you reconfigure them for Cloud Sync. Launch Banktivity on your Mac and open a document you want to use with Cloud Sync. Select “Sync Settings” in the source list or choose View > Show Sync Settings. In the view that appears, click “Set Up Syncing” and then “Cloud Sync” to begin the setup process. If you previously used WiFi/WebDAV sync, click “Switch to Cloud Sync” and acknowledge the warning that your previous sync setup will be deleted. If you have not already signed in with your Banktivity ID (see above), next you will be prompted to do so. On the next screen, enter a name for the cloud document. This name will be visible to your other devices when you configure them for Cloud Sync. Next, choose a password to encrypt the cloud document. You must not forget the password – it is required to set up any other devices to sync with this cloud document. At this point the assistant will show a progress bar until all of your data has been uploaded to the Cloud Sync server. Once it completes, you can begin setting up other devices to sync with this newly created cloud document. Once you have uploaded one or more Banktivity documents to the cloud server, you can open them from as many additional Macs and mobile devices as you like. Connecting a Mac or mobile device to Banktivity Cloud Sync requires you to create a new document. It is not possible to connect an existing document to one that has already been uploaded to the Cloud Sync server. Choose File > New Banktivity Document. Click “Open Cloud Sync Document”. Log in with your Banktivity ID. Choose the cloud document you want to open. Enter the password required to open the document. Wait for the document to download. If a document is already open, tap “Back” to return to the iBank home screen. Enter a name for the document (only used on this device). You can initiate a sync at any time by choosing File> Sync (which will only sync the document) or File> Update Everything (which will also update your accounts, security quotes, exchange rates, and bill pay payments). In addition, there is a setting to “Automatically update documents” in Banktivity> Preferences under the “General” tab. When that option is checked, your documents will sync automatically when they are opened and closed. In the event that a document on your Mac gets out of sync with the Cloud Sync server, a couple of troubleshooting options are available. Select “Sync Settings” in the source list, then click “Troubleshoot Cloud Sync.” Click “Reset Server” to erase the document on the cloud server and replace it with the data on your Mac. Click “Reset Local” to erase the document on your Mac and replace it with the data on the cloud server. Documents sync automatically when they are opened and closed, and when you switch between Banktivity and other apps. You can initiate a sync manually by tapping the gear-shaped settings button, “Sync Settings (Cloud Sync),” then “Sync now.” On Banktivity for iPhone, you can also pull down on the Accounts screen to sync and update your accounts. When switching from Banktivity for iPad/iPhone to another app, Cloud Sync may be slowed or interrupted as the operating system assigns lower priority to apps running in the background. In the event that a document on your mobile device gets out of sync with the Cloud Sync server, a couple of troubleshooting options are available. Tap the gear-shaped settings button, “Sync Settings (Cloud Sync),” then “Troubleshooting.” Tap “Reset local data” to erase the document on your device and replace it with the data on the cloud server. Tap “Reset cloud data” to erase the document on the cloud server and replace it with the data on your device. After a document has been uploaded to the Cloud Sync server, you can change the password used to access it from other Macs and mobile devices. Select “Sync Settings” in the source list, then click “Change Document Password.” Enter the old password along with the new password twice. Once you submit the change, other Macs and mobile devices that sync with that document will be unable to sync until their passwords have been updated. Tap the gear-shaped settings button, “Sync Settings (Cloud Sync),” then “Change password.” Enter the old password along with the new password twice. Once you submit the change, other Macs and mobile devices that sync with that document will be unable to sync until their passwords have been updated. It is possible to disconnect a document from Cloud Sync and leave a copy of the document on your Mac or mobile device for stand-alone use. Once a document has been disconnected from Cloud Sync, it is not possible to reconnect it to the same document on the cloud server, although it can be used to create a new Cloud Sync document. Select “Sync Settings” in the source list, then click “Troubleshoot Cloud Sync.” Click “Stop Syncing” to disconnect the document from Cloud Sync. Tap the gear-shaped settings button, “Sync Settings (Cloud Sync),” then “Troubleshooting.” Tap “Remove sync settings” to disconnect the document from Cloud Sync. Select “Sync Settings” in the source list, then click “Manage Synced Documents.” A list of all cloud documents will appear, showing their names and dates when they were created and last updated. To rename a cloud document, double-click on its name, type in a new name, then press Return on your keyboard. Make sure the name is unique; no two cloud documents may share the same name. You can also delete a document from the server by clicking the “Delete” button next to any document. Deleting a document from the Cloud Sync server will cause syncing to fail on all Macs and mobile devices that were connected to that document. The document on each Mac and mobile device can be disconnected from Cloud Sync in order to continue using it as a stand-alone document. Once disconnected, a document can be used to create a new Cloud Sync document, but it cannot be reconnected to an existing document on the server. If a document is currently open, tap “Back” to return to the home screen. Tap “Banktivity ID Services” and log in with your Banktivity ID. A list of all cloud documents will appear, showing their names and dates when they were last updated. To rename a cloud document, tap on it, type in a new name, then tap “Continue.” Make sure the name is unique; no two cloud documents may share the same name. You can also delete a document from the server by swiping it to the left and tapping the “Delete” button. This entry was posted in Banktivity for iPhone, Banktivity 5, Banktivity for iPad and tagged cloud sync, iBank.